Learning happens when we begin our journey in the world as individuals and learn to collaborate. No learning will ever occur in isolation; learning is nothing but a collaborative exercise that perhaps helps you become a thinking person. Knowledge is a product while learning is the relentless pursuit of developing one's abilities and an effort to understand the ways of the world. Learning is a process and not an event, individuals accomplish it, is indeed a highly personal experience, involves developmental growth and is best understood as the change we go through in our journey of life. Most important point to note is that ‘learning is greater than change.' For learning to thrive, we need to adapt, mindset and behavior itself need to change. In isolation we are cocooned from the need to move beyond our comfort zone, we need to break out and learn to challenge ourselves to deliver as a team player. The community is indeed a reflection of individuals that make up the society. 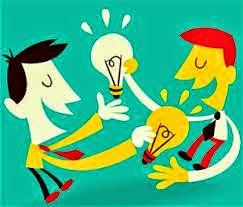 It is how we collaborate, that brings about transformational change and helps us grow as individuals and community too. A school of ants can work to move the largest obstacle, in isolation a single ant may not have all the wherewithal to make a difference. Ant societies have a division of labor, communication between individuals, and ability to solve complex problems.These parallels with human societies have long been an inspiration and subject of study. Humans are social beings and need to connect, communicate, collaborate to create. Learning will only happen when we work together. The human form is itself brought about when the isolated sperm meets the egg, thus further confirming the fact that ‘isolation’ is not the DNA of any life form. Yes, scientist and even gurus in their quest may want a peaceful abode, their work will only reach the collaborators when they spread the word to help to learn. A teacher in class is first a learner and then a mentor, no teacher can work in isolation. Learning being a social exercise, helps us make a better world and share best practices. In Sociology, we define isolation as 'social lack of contact between persons, groups, or whole societies'. In Psychology, it is 'The failure of an individual to maintain contact with others or genuine communication where interaction with others persists'. Both the definitions make it very clear that if there is no cross fertilization of thought and human connectivity, there will be no learning. Learning may occur as a result of habituation or classical conditioning, seen in many animal species, or as a result of more complex activities such as play, seen only in relatively intelligent animals. Learning may occur consciously or without conscious awareness. Learning is the transition from isolation to collaboration. The classroom is the ecosystem for learning and here the students and the teacher collaborate to further their abilities and grow their knowledge base. The application of knowledge is the real meaning of education, and we all must work for bringing the necessary change in our lives.